this looks awesome, looks like from some of the stream that the emperors honor guard was switched with the royal guard so now everyone can play as the red storm troopers. 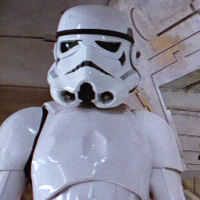 hopefully there are more storm trooper skins but this dlc looks great! cant wait for tomorrow! Agreed @Jnizzle, cant wait to see what the hidden weapons and star cards are too. I've seen what the stinger pistol does in a video from battlefrontupdates channel. It appears it just shoots you and you immediately die. What about force pikes for the emperor's guards ? They should also have a blaster pistol as a side arm. ps right now im messing around with the new bespin weapons can't connect to ea servers but still it's awsome the X8 sniper is insane and the ee-4 is like a shotgun version of the ee-3. WOOHOO!!! It's here! I just went through the change log and good gravy am I loving the improvements and fixes. Can't wait to give it a go. Superb work, DICE. Is Fighter Squadron in the Bespin Medley? I think that so far it's been an amazing update however in the death star dlc maybe you could ask for fan suggestions on the new items and guns before you make them. However you should leave features like heroes and maps to the creators so that people can speculate and it's more exciting when the dlc comes out! Great job so far with the update. I'm loving the new game mode and maps. And I have had the star wars "Han and Leia Theme song" in my head all day. Well done! So far, so good. Played for a few hours last night. New Hutt Contracts! Once again, I have to say how cool it is when you complete a Hutt Contract mid-battle and Jabba talks to you (in Huttese) in your headset. That is such a highlight of gameplay! I got to pilot a cloud car (red and blue), and get killed by both Lando and Dengar. Haven't played as either yet, but man, cloud city is gorgeous! The Bespin DLC is simply amazing! The new maps are fantastic (and stunningly gorgeous), love the new blasters and Star Cards, Lando and Dengar kick ****, and Sabotage is a ton of fun. Really loving all the tweaks and fixes you guys made to the existing content and features. 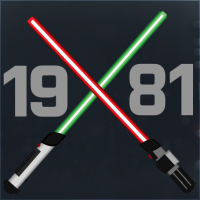 Excellent work, DICE. What are the chances of getting Luke in his Bespin fatigues and Leia in her Bespin dinner outfit at some point? Hey guys I'm a EA Star Wars Battlefront enthusiast and I'll be happy to answer any questions you might have on the new Bespin DLC! Loving the DLC guys definitely getting what I've paid for! Thankful for making things right by the Imperial guards. Graphics just as stunning as the initial release of BF. Love how the Rebels Fatigues have changed to fit Bespin. Still want Leia in Slave Gear and Luke in Bespin Gear, now that Lando is around maybe in his Tamtel Skreej gear for Outer Rim?? Hear rumors of customization and like the sounds of that. Played for about 3 hours last night, My 6 year old and I thoroughly enjoyed. One thing was only got to play admin. palace map 1 time maybe b/c we changed around game modes? pumped for walker assault on these maps. Would like to see WA in outer rim. Really liked that map and looked forward to it more often. Played as Lando in sabotage went 21 and 6 kept him alive most of the round. Really like the X-8!! Haven't played Dengar yet. Great job guys thanks for all the hard work! Can't Wait for Death Star. 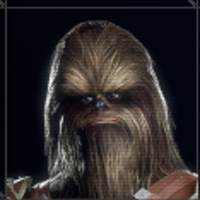 Can we please have Chewbacca??!! Oh yeah, also the Game Summary is back, thanks for that. I like how it tells me all my different types of kills, etc. Love the update. Hoping they will add an extraction of Han Solo in carbonite. Imps trying to get to Slave II and Rebs trying to stop them. I was frozen in carbonite. Man, that level is DETAILED! I got shot twice just admiring the details on the walls and stuff. reH yuQvam tIv jIH 'ej vItIvrupchu' QujmeH vabDot neH 'oH HeghDI' 'oH moj lupoQ Hoch latlh. chay'pen 'oH 'e' vInoH naQ, 'ej rup! I bought the season pass back when the game came out due to the press release saying you would have access to all of the new maps, characters, and weapons. I was highly upset when the first map pack came out and all of sudden all of the weapons i wanted to use had to be unlocked by putting in hours of work to unlock them. i work over 40 hours a week and paid an extra $50 towards the season pass to be able to enjoy it in my free time when i decide to play some video games. I'm not some little kid who stays in all day and plays video games. If i pay for something i expect to be able to use it right away and only be given access to try and unlock them. After getting no where with the EA chat help i was told to bring my case to the forums to see if other people in the community have a similar issue about the hutt contracts. Going to post this in every forum to try and get EA to unlock all of the stuff that we rightfully paid for and should have access to. Help get more SP content from ea. Not trying to be the only negative one here, but does anyone find it frustrating that they promised more offline content with this pack and yet I don't see any at all. It is still the same four maps offline, no additional offline gameplay whatsoever. For those who have a crappy connection and the season pass, you basically paid $50 for 4 new Heroes to play as on the same for maps. Not trying to be the only negative one here, but does anyone find it frustrating that they promised more offline content with this pack and yet I don't see any at all. It is still the same four maps offline, no additional offline gameplay whatsoever. For those who have a **** connection and the season pass, you basically paid $50 for 4 new Heroes to play as on the same for maps. Saddest part of it is that it was meant to come with Bespin, but they delayed it , and there is still nothing coming from the devs regarding it. I hope for a reveal soon, maybe on July the 5th . Actually more like Star Battlefield. Remember DICE are the same ones who made the Battlefield games. At least the Call Of Duty games since and including Ghosts have included private matches with bots on ALL MAPS AND MODES (Instant Action) so far. With this DLC, I realised why Bespin is so beautiful, that galaxy's habitants spend their holidays on this planet. In The Empires Strikes Back, I saw city in clouds, but I wasn't comprehending the beauty in tight corridors, sterile white walls and small rooms. With Battlefront, I noticed grass (absent in the movie), which makes me dream about great plains on platforms. Idyllic atmosphere present in this DLC is incredible, too bad it was used only for battle field. Clouds covering space platforms, hiding light in it makes a fantastic impression.